As I type this, I’m actually hoping I haven’t posted this recipe yet – it’s a favorite side dish in our house hold so we tend to have it quite often. It’s also easy, so when I’m busy and need a “hand’s off” side dish, this is one of the ones I like to prepare. 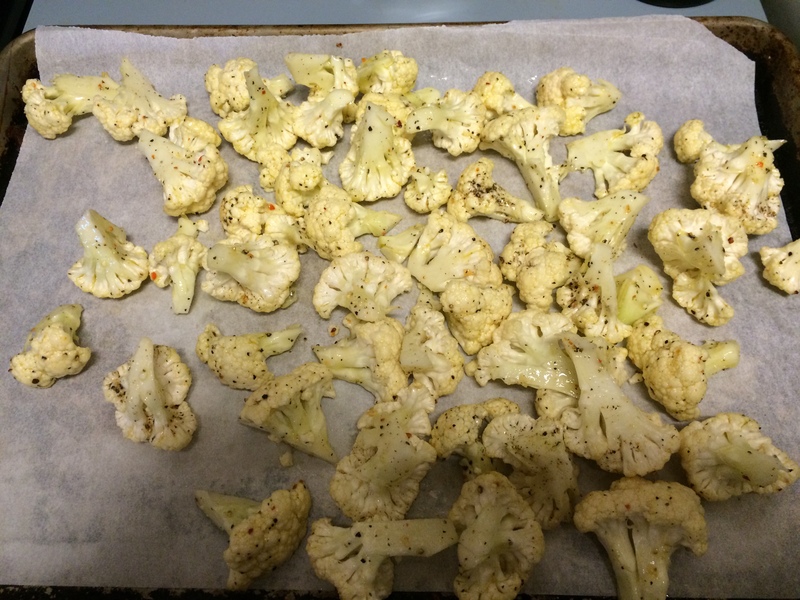 You’ll need one cauliflower head, olive oil, salt, pepper, garlic salt and choice of herb seasonings. 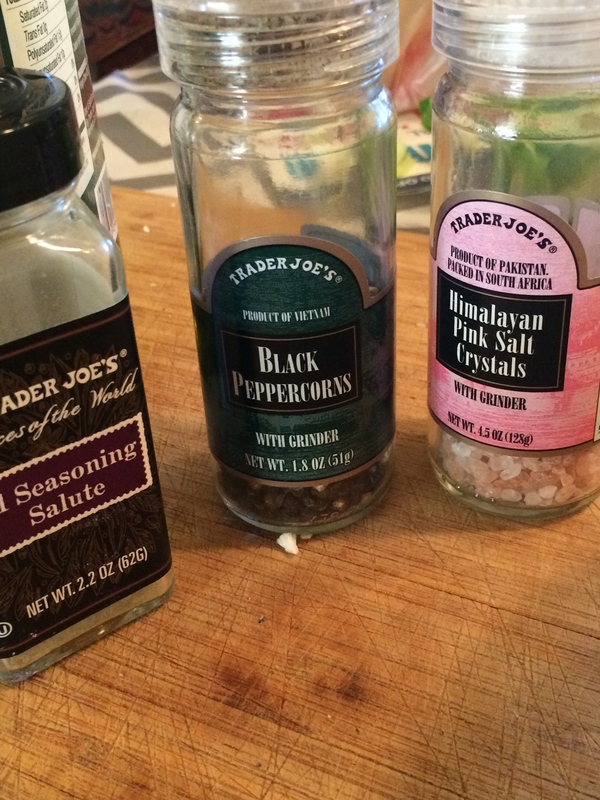 Our go to favorite seasoning is this 21 seasoning salute from Trader Joes. 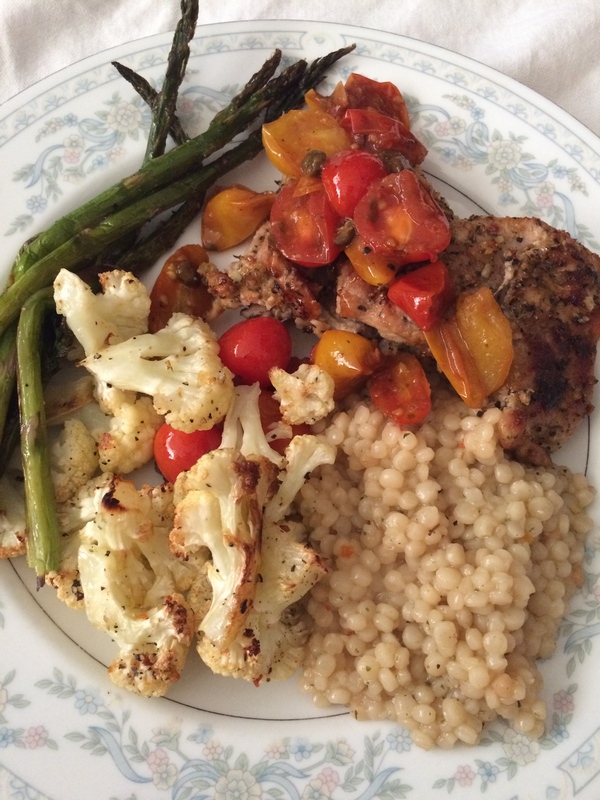 Depending on who’s cooking and our mood we may also add garlic – rosemary – onions – sun dried tomatoes (yum!) – oregano – curry! 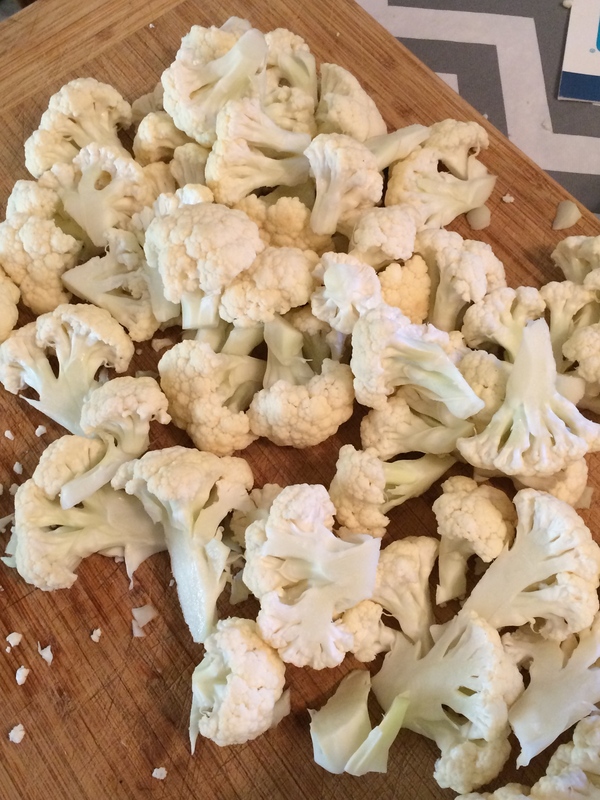 Cut up the cauliflower into 1 1/2 inch pieces. 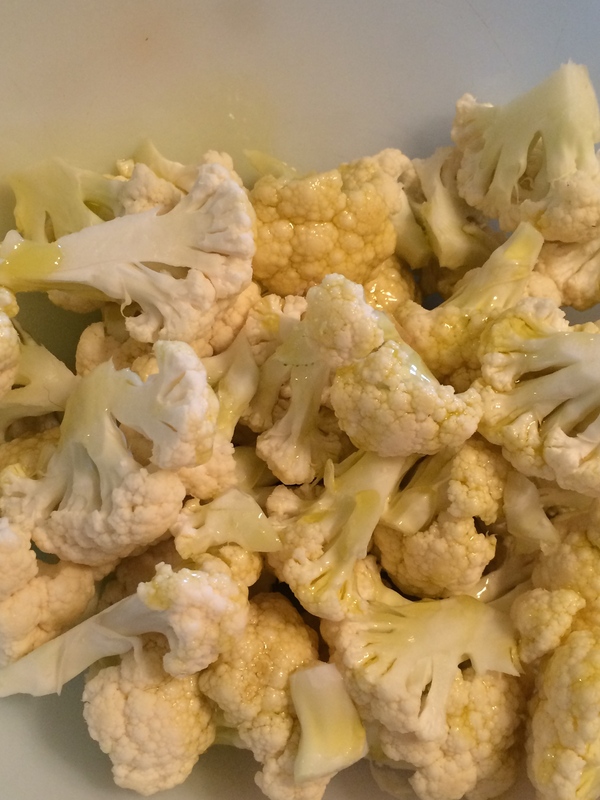 Toss them in a bowl large enough to toss them around and add about 1/4 cup olive oil. 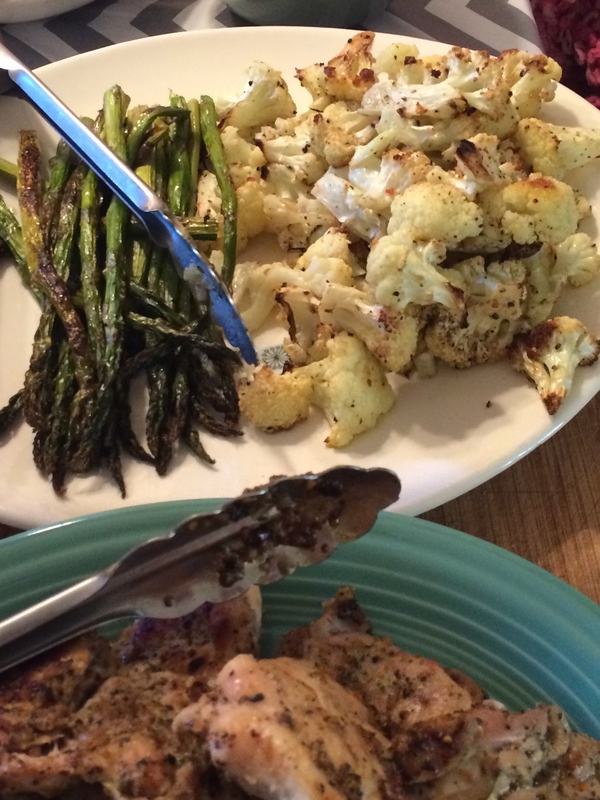 Season with salt and pepper and your choice of seasonings ( to taste ) and toss them until they are covered. Plate and serve 🙂 Rowan made dinner last night- she was too quick so I didn’t get an “after” picture on the roasting pan. 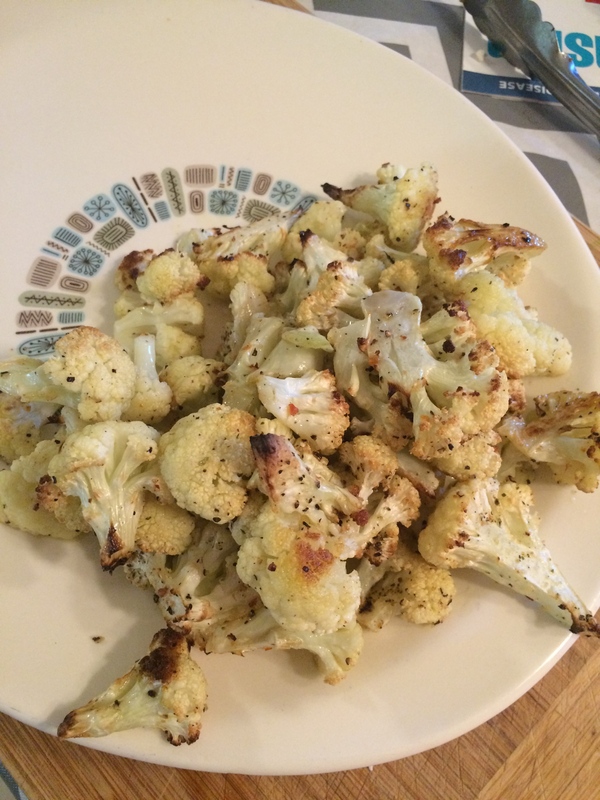 Last night I made roasted cauliflower similiar to this recipe. I added about 2 tablespoons of Siracha and about 2 tablespoons of pure maple syrup, plus a little shake of garlic powder, salt and pepper. Roasted it for about 20 minutes. Everyone devoured it! Yum! 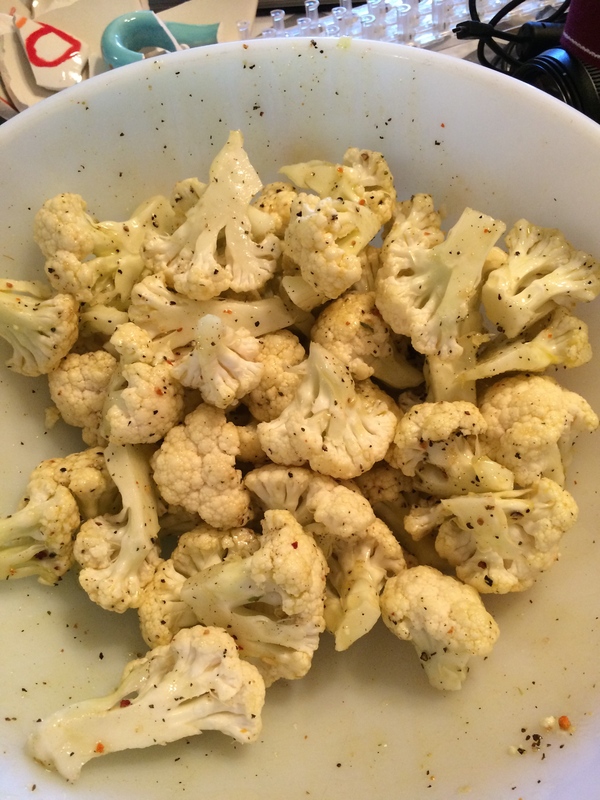 Loving me some cauliflower!